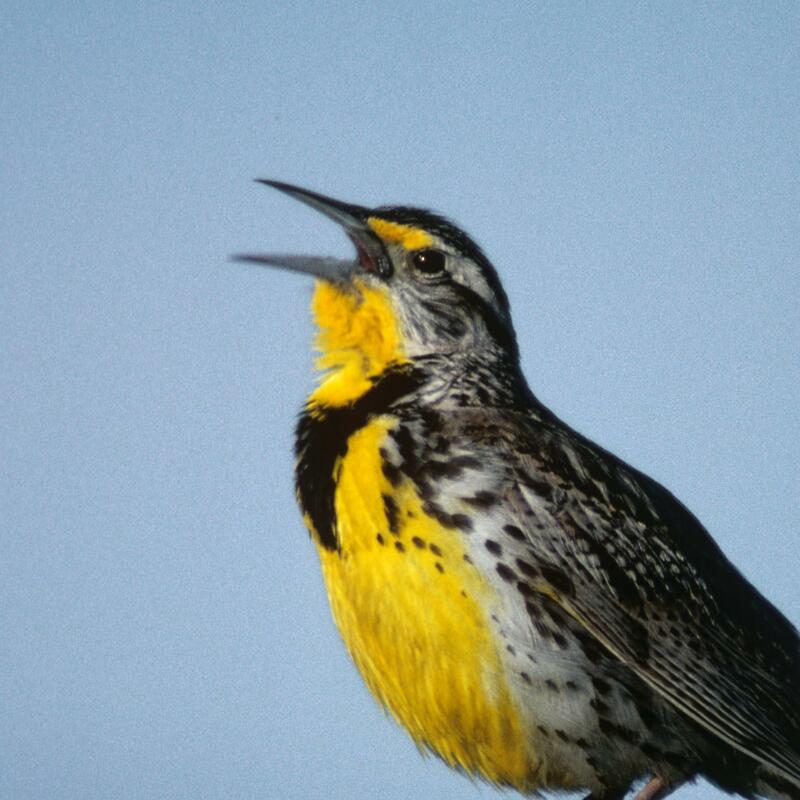 The sound of the melodic meadowlark is easy on the ear. It can be heard many yards away across wide ranges by its chortling call. The Columbia Gorge and the vast grasslands of Linn County are full of these beauties. They are hard to miss on the trails of Oregon and Washington and the roads south of Portland to Eugene. They hang out on fence posts and small trees during grass blooming season, collecting grasshoppers and flying bugs. Their songs are categorized by Cornell Labs as “3 to 5 (sometimes up to 8) pure and plaintive flutelike whistles all slurred together and gradually dropping in pitch, up to 2 seconds long.”  The males seem to be singing love songs in their singing repertoire. They can be heard singing one song repeatedly for a time and then switching to a different version of the same notes. 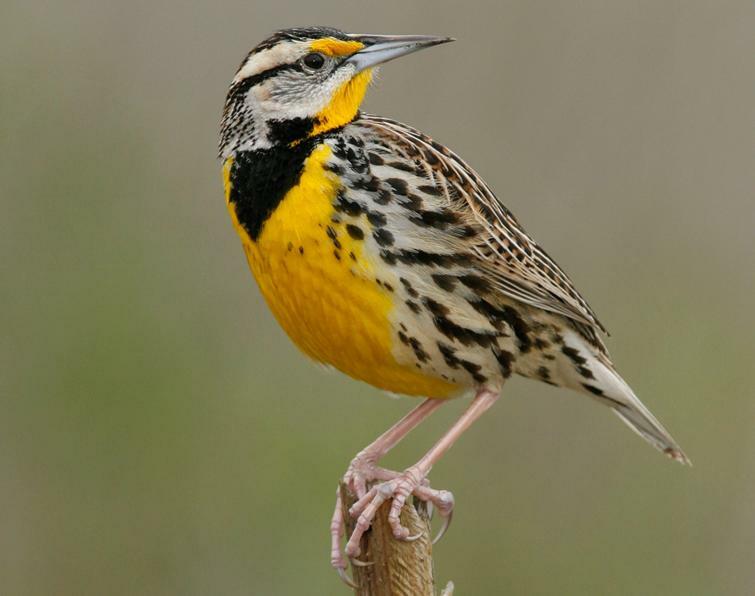 The Eastern Meadowlark, when either a human or other intruders come into its territory, are known to give a single sharp dzert note, which lasts about a second and a half. Both sexes give a series of weet calls when they are in flight. 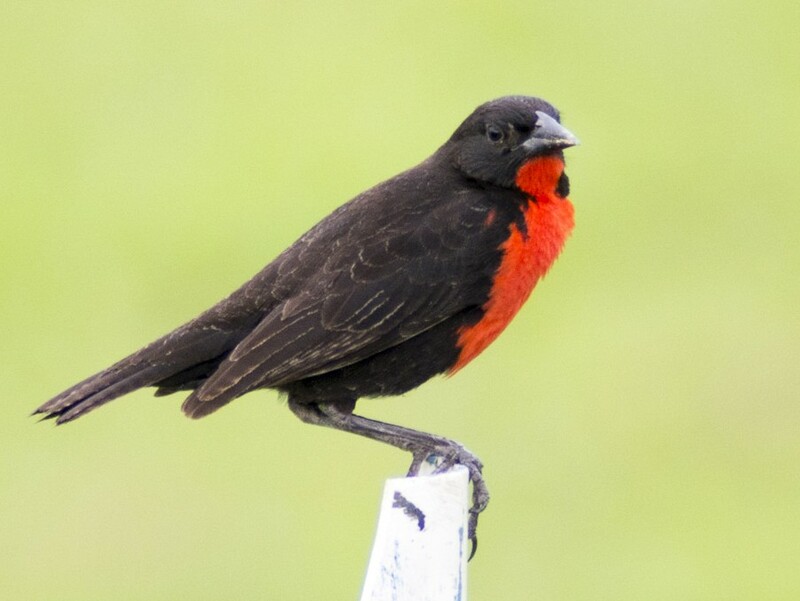 The underparts of some of the species in South America are red, as in the recently labeled red-breasted blackbird. This is one on many ornithologists lists because of its extraordinary beauty boldness.